2 Bedroom Flat For Sale in Sheffield for Guide Price £350,000. A rarity to market and must not be missed! Handy for a selection of local amenities in nearby, Fulwood, Ranmoor & Nether Green whilst enjoying easy access to the Universities, Hospitals and Sheffield city centre. The apartment enjoys a good deal of privacy with welcoming light & airy feel, has gas central heating, double glazing, generous room sizes throughout with spacious dining kitchen, lounge through dining room opening out onto a balcony, two double bedrooms, en suite facility, main bathroom and separate wc, as well as benefitting from allocated off road parking and garage. The accommodation in brief comprises: entrance hallway with wood effect floor covering, access to a wc/cloakroom and loft access, double doors enter the rear facing lounge through dining room providing access to the balcony, the focal point of the room being the attractive feature fire surround with living flame gas fire, wood effect floor and coving to the ceiling. A front facing dining kitchen has a range of wall and base units housing the gas heating boiler, along with built appliances to include gas hob, electric oven, extractor fan, fridge/freezer and dishwasher. Also benefitting from wood effect flooring and spot lighting to the ceiling. Master bedroom leading into an en suite shower room, double bedroom two, bathroom having a three piece suite comprising: wash hand basin, low flush wc and bath with mixer tap shower attachment. Tiling to the walls, spot lighting and extractor fan. 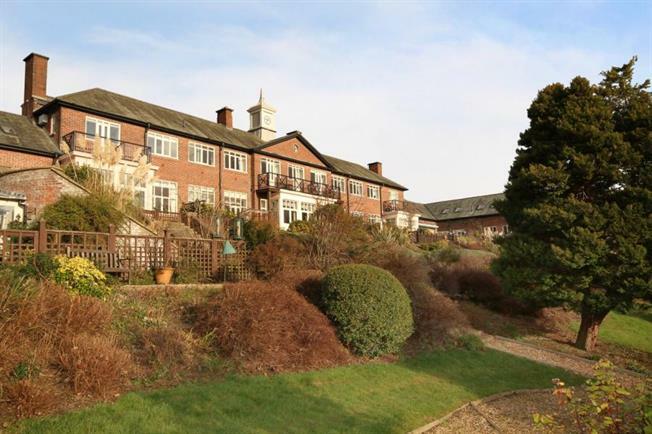 Location: Mayfield Heights is within walking distance of many delightful walks of the Porter and Mayfield Valley including the Sheffield Round Walk. Close to the Peak District Countryside yet within easy access of local shops in Fulwood, excellent schools and nearby recreational facilities. Viewing is highly recommended for the delightful apartment which is not to be missed.